The 2019 Wyoming State DI Registration is officially open. Click here to access it. Before beginning your registration, make sure you have a DI account and team number. You can create one through DI here. Don’t forget to order your official WY DI t-shirts. The order form can be found here. DI has an amazing set of resources from Destination Imagination. 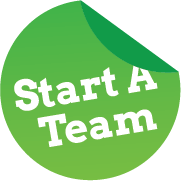 This page offers the latest published clarifications, team manager tips, and some great activities for your team. Check out the following links for information shared on Team Choice Elements, Instant Challenges, Team Building, and How to Read a Challenge. team-choice-elements–This powerpoint gives hints on how to help your team learn what the team element is and how to choose the best ones for your solution. http://www.literacynet.org/mi/assessment/findyourstrengths.html-Link to online multiple intelligence test. team-choice-elements–How to use your Multiple Intelligence Inventory to focus on your Team Choice Elements. instant-challenges—How to use instant challenges to build teamwork and creativity. team-building–Check out these fun games to build teamwork. California Team Manager Resources–Recorded webinars include Rules of the Road, Brainstorming and Decision Making, Creating a Great Skit, Instant Challenge Tips, Beginning Team Manager Training, Bringing it All Together, and Tournament Prep. Team Building and Communication Ideas—This is a collection of great ideas on how to facilitate communication and team building on your team.